A beautiful Turquoise Starfish Ornament. This comes as a set of 3 Ornaments. Each is lightly dusted with clear glitter to give it just the right amount of Holiday glitz. 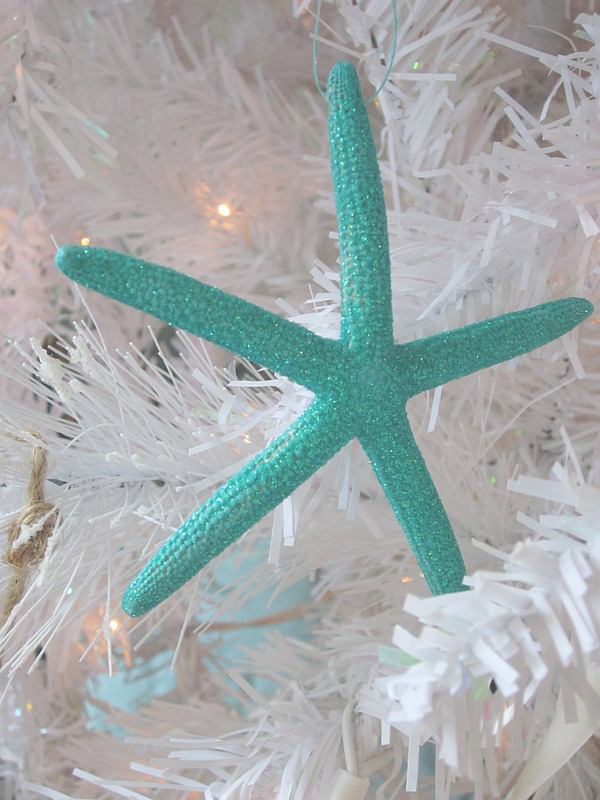 Each Starfish Ornament measures approximately 3 inches.